Patty Hearst, center, is seen ring side at the Westminster Kennel Club dog show, Monday, Feb. 16, 2015, at Madison Square Garden in New York. 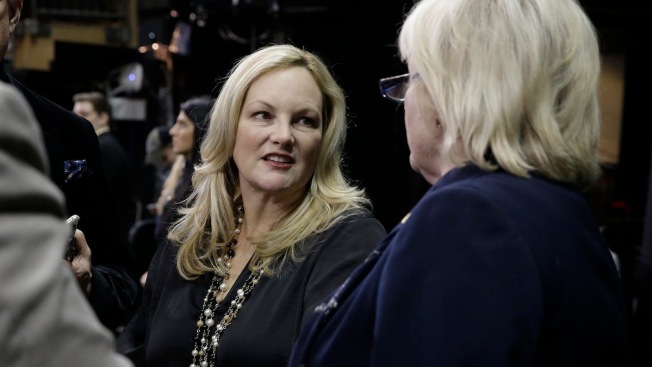 Famed and infamous heiress Patty Hearst was back in the news Monday after a dog she co-owns won its group at the Westminster Kennel Club show. Famed and infamous heiress Patty Hearst is back in the news after a dog she co-owns won its group at the Westminster Kennel Club show. 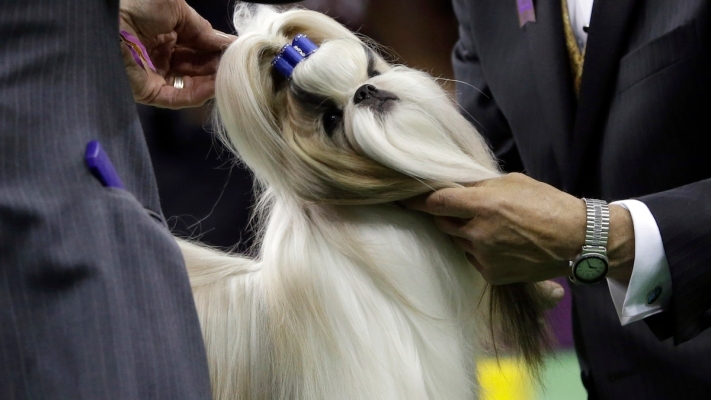 A shih tzu called Rocket was picked as the toy dog Monday night at Madison Square Garden. Hearst is one of Rocket's three co-owners. She's been involved in the dog show world for several years, mostly with French bulldogs. Rocket a shih tzu co-owned by famed and infamous heiress Patty Hearst is inspected by the judge in the ring during the toy group competition during the Westminster Kennel Club dog show, Monday, Feb. 16, 2015, at Madison Square Garden in New York. Hearst turns 61 on Friday. She's the granddaughter of William Randolph Hearst and gained great notoriety in 1974 when she was kidnapped by the radical group the Symbionese Liberation Army. She was seen holding a machine gun while robbing a California bank, and later spent almost two years in prison. UpdatedLady Gaga Engaged to Taylor Kinney: "I Said YES!" Hearst has appeared in movies and done television work. 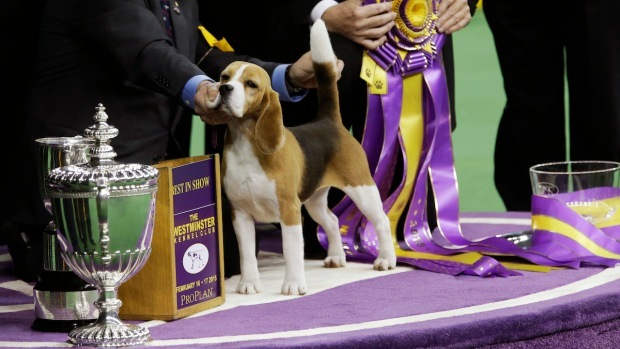 Her dog will be one of seven in the final ring Tuesday night when best in show is chosen.